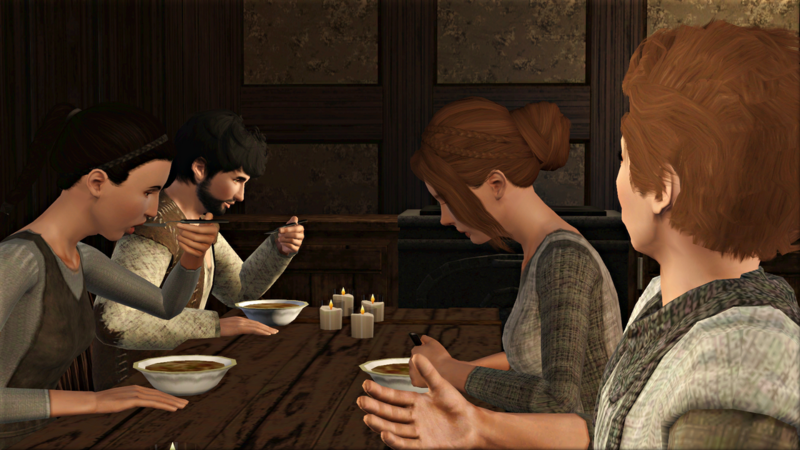 Since his mother passed away, young Robert Fowler has been living with his sister Rikilde, her husband Hugh Cotter, and Hugh’s sister Emma. 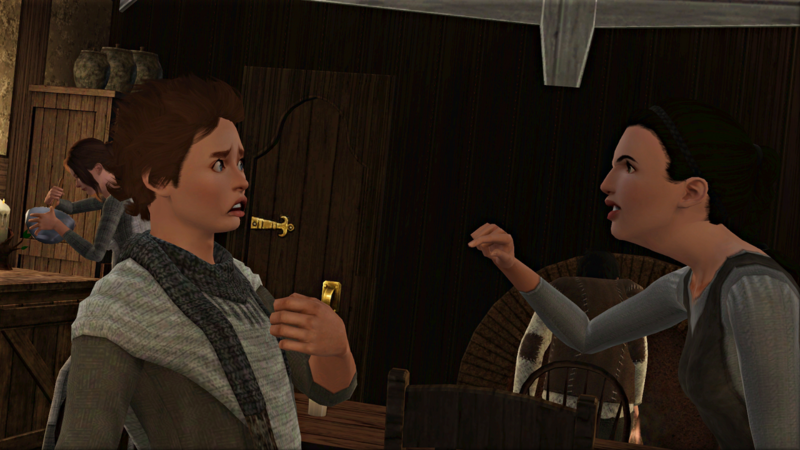 Hugh and Rikilde are both kind and patient, but Emma has a sharp tongue she loves to turn against Robert. She calls him a coward, and a burden on her family. With Lord Snordwich away in Burdley, times in the village are hard. Most days the Cotters eat a thin pottage, made with carrots and cabbage from their garden. They often do without bread, to save the baker’s fee. His lordship will return some time before the Feast of the Nativity, and with him prosperity for the village. But winter is just around the corner, and everyone expects things to get worse before they get better. Rikilde and Emma have been busy pickling vegetables and preserving fruits, to keep the family nourished through the colder days. Happily, they still enjoy the hospitality of the church. When First Fruits day arrives, the old parson feasts the Cotters and their neighbours on plum pie and last year’s Country Blend. The next day, their autumn’s labour in the fields begins. Robert works as close as he can to Aphra, the brewer’s sister, trying as best he can not to stare. He has been besotted with her ever since her eldest brother Richard wed his late sister Aelfgiva. 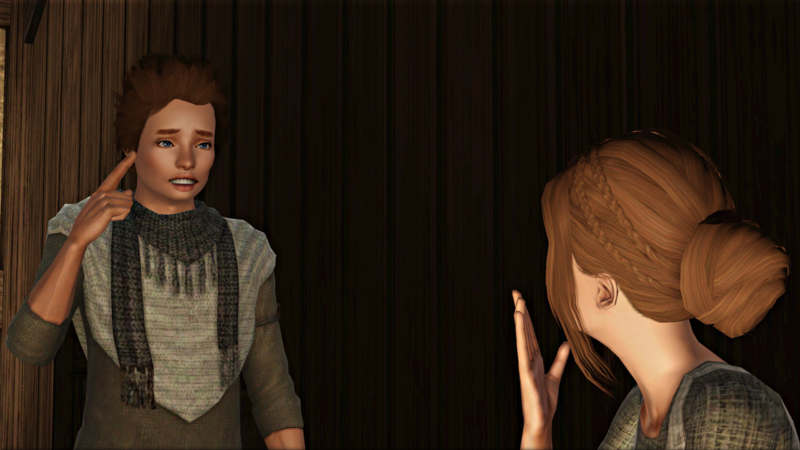 Robert and Aphra were just children then, but in a little over a year he will be a grown man, ready to take up the lease on the little patch of land that was his father’s. His dearest wish is for Aphra to come and live there with him, once he has the old cottage fixed up again. He cannot guess what she thinks of him; he has always been too afraid to make his feelings known. But he does not believe she has received any other offers. He had worried that Richard’s friend Gilbert might shift his attentions to her, had his beloved Oriel turned him down, but the pair are now set to marry this winter, upon his lordship’s return. Oriel seemed unsure about Gilbert for a long time, but now that she has agreed to be his wife she is eager to tell everyone how grand their wedding will be, and how very much in love they are. 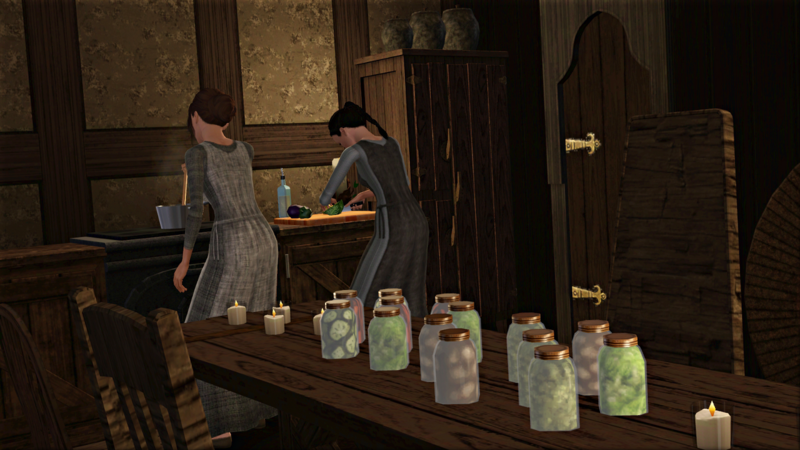 Whenever his lordship is at home for the harvest season, he makes the villagers his guests each night in the great hall. Not so this year. 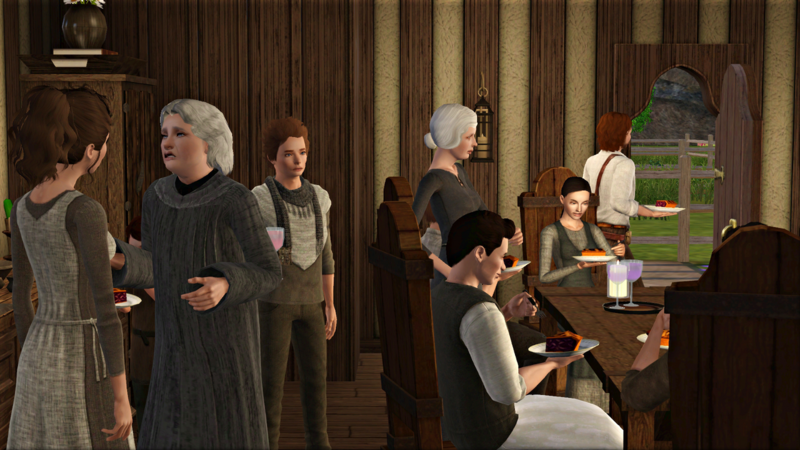 And though there is still bread and broth available in the buttery for the harvest workers, most of the tenant families choose to retire to their own homes in the evenings instead. The Cotters are the only ones to take regular advantage of the offered supper. Rikilde has them traipse up to Plumbob Hall at the end of each working day, reminding them along the way that they cannot afford to turn down any hospitality. Soon there will be a further pressure upon the family. 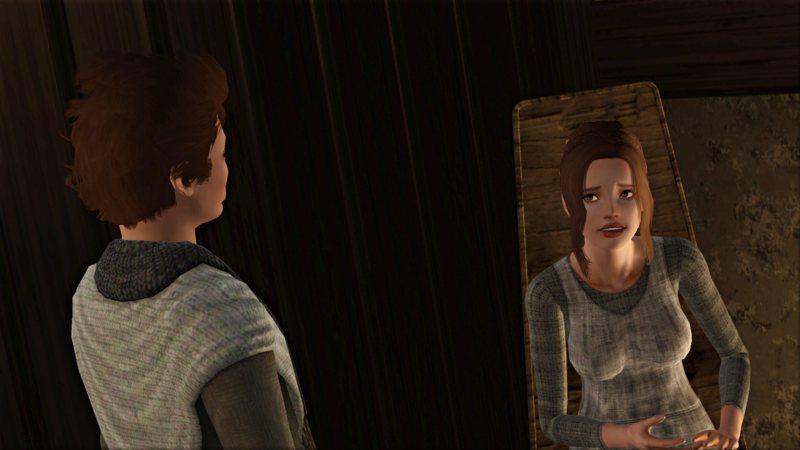 Rikilde is expecting her first child, she tells Robert one night. Once the baby has outgrown its crib, there will not be space for them all for long, especially not if the Watcher sends a second child, or a third, or a fourth. 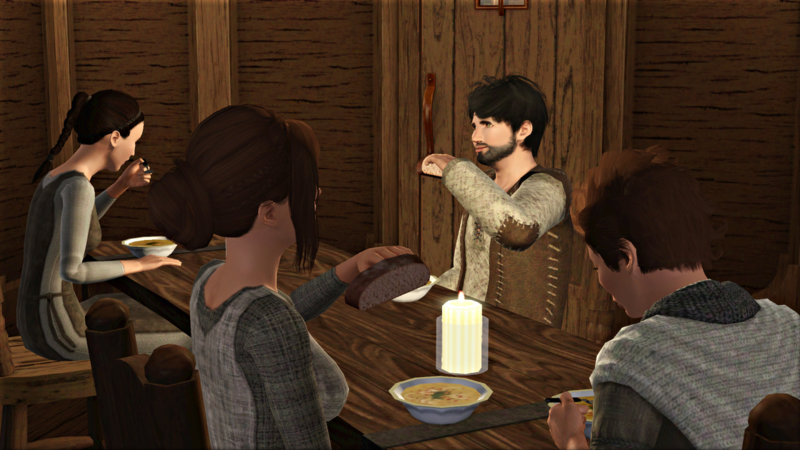 Rikilde explains that the best thing for them all would be for Robert to move into the old cottage as soon as possible. Hugh would remain his guardian until Robert’s 210th day, but they would keep separate households. Once the warmer weather comes, Hugh would be able to help him with any work that might need done to make the place habitable. Robert understands. He never expected to stay with his sister for ever, and he knows that his front door will be just steps away from hers; in fact he already passes by it every morning on his way to check on the cabbages. He will want to marry, his sister continues. If he has no one in mind, it would be a relief to her to have Emma taken off her hands. The thought of Emma as his wife makes Robert shudder. She would mock and berate him morning and night. He tells Rikilde that his heart is already set on the brewer’s sister, reassuring her that he means to make his feelings known before the year is up. A few days later, when Rikilde’s labour pains begin, the village wives and sisters come to ease her through. Robert and Hugh, meanwhile, are sent to the tavern. Robert feels sick with worry. The last child to be born in the village was to his and Rikilde’s older sister, who died a day later from childbed fever. He distracts himself as best he can by helping Aphra put their nephew and nieces to bed. To everyone’s relief, Rikilde pulls through the delivery just fine. The baby is a boy. Hugh and Rikilde will name him Tom. The days that follow are a struggle. 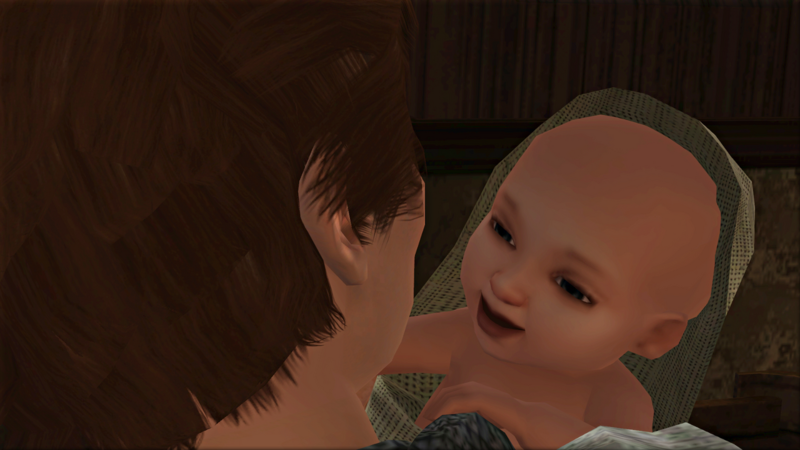 When baby Tom cries in the night, there is no sleeping through it for anyone. And there is still the harvest to bring in, which, as soon as they have both received their blessings, Rikilde does with her newborn strapped to her back. Sunday at last brings reprieve: a day of rest, with time for a morning sermon, followed by lunch at the brewery. 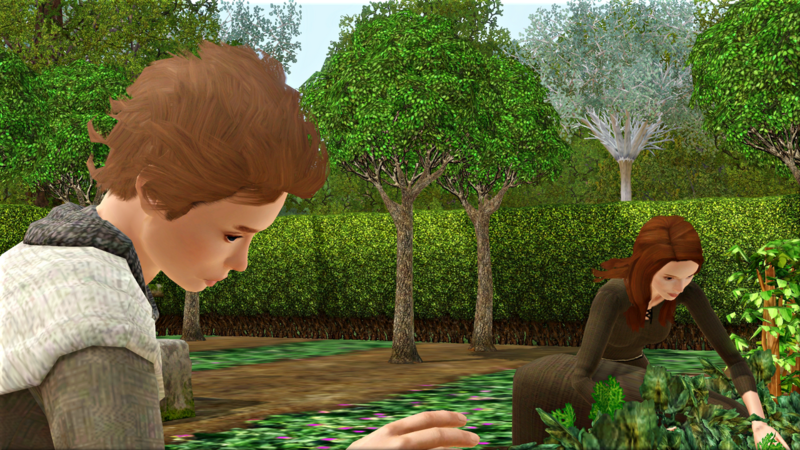 When Aphra excuses herself to check on the horses, Robert steps outside to join her. He finds the big, strong animals soothing, and thinks she does too. If not now, then never, Robert thinks. He turns to Aphra, and tells her as calmly as he can of his affection for her, and of his hopes for the future they might share together. Aphra looks taken aback by his confession. She did not expect this from him, it seems; had not been waiting for it; perhaps did not want it. Collecting herself, she tells him that he is very kind but that she must talk this through with her brothers. She could not agree to anything without their advice and blessing. The children will be missing her, she says, and hurriedly takes her leave. Robert is left outside, uncertain what to think. It is right that she should ask her brothers, of course. But she did not seem happy about anything he said to her. All he can do now is wait, and hope that her answer will be yes. Yes, feel free to message me on the forums. Aw, I feel so sad for Robert right now. I do hope all works out well for him in the end.